I dont think I like where they have the screws. Assuming that this is on George between Ohio and Humboldt, it is part of the City's Traffic Calming Art Signs, which are a project of Public Art St. Paul and St. Paul Public Works. That is the exact location of this sign. All I have to say is 'WOW' as the city is gearing up to ask for a bail out money for over spending, my thoughts turn too, how much did these signs cost to make and install? Thank you for the information, I'll have to get back there and snap more photos of the other signs. The link previously provided indicates that the signs were not funded by SPPW but rather by the non-profit Public Arts St. Paul and a STAR Program grant. STAR = Sales Tax Revitalization Program. A program started in 1993 to allocate revenue from the city's half cent sale tax increase providing loans and grants to improve neighborhoods. In my opinion, that's money collected from the tax payers, spent on cute projects. 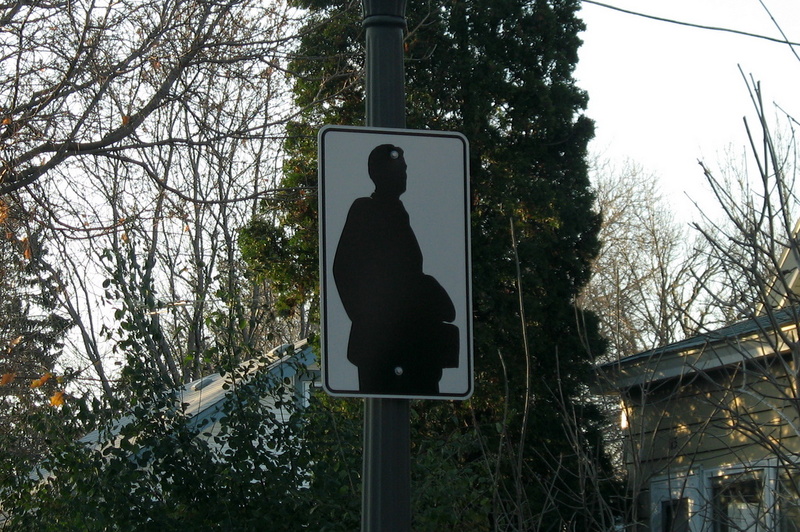 Does the neighborhood REALLY need to spend money on signs to calm traffic when there is a budget crisis? Just my opinion in these tough financial times we are facing. these signs are all over hamline-midway. each one is different. i like 'em. but i like using taxpayer money on things other than just the basic necessities-- what a grim way to live that would be. have you seen the sidewalk poetry in st. paul yet? I have not seen the sidewalk poetry yet. Where abouts is it?